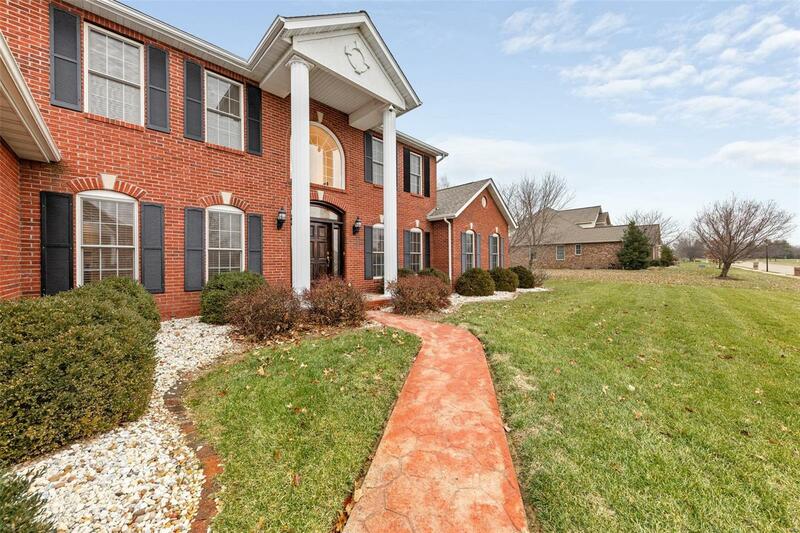 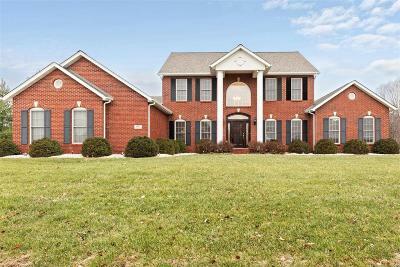 Stately brick elevation 1.5-Story home on Â¾ acres located in prestigious Crown Pointe Subdivision. 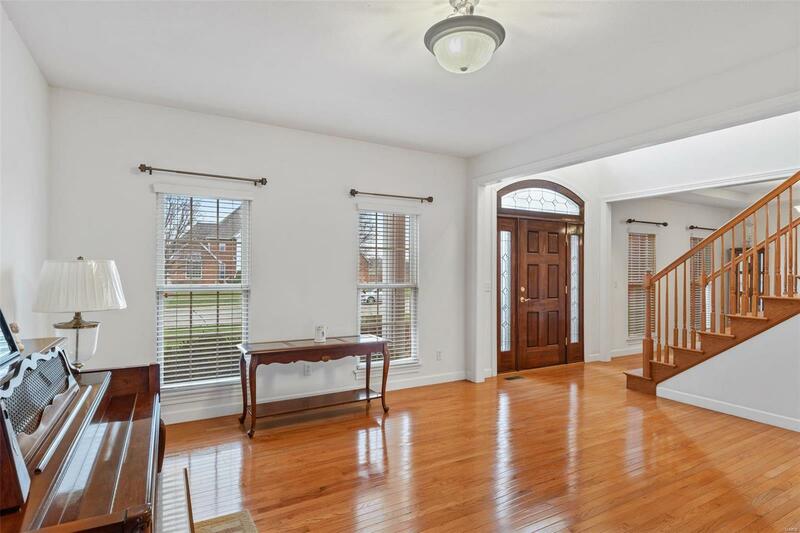 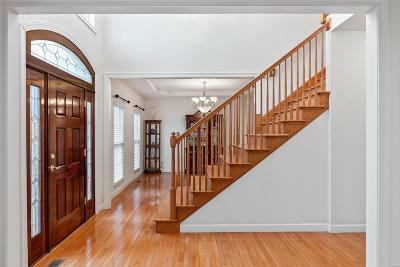 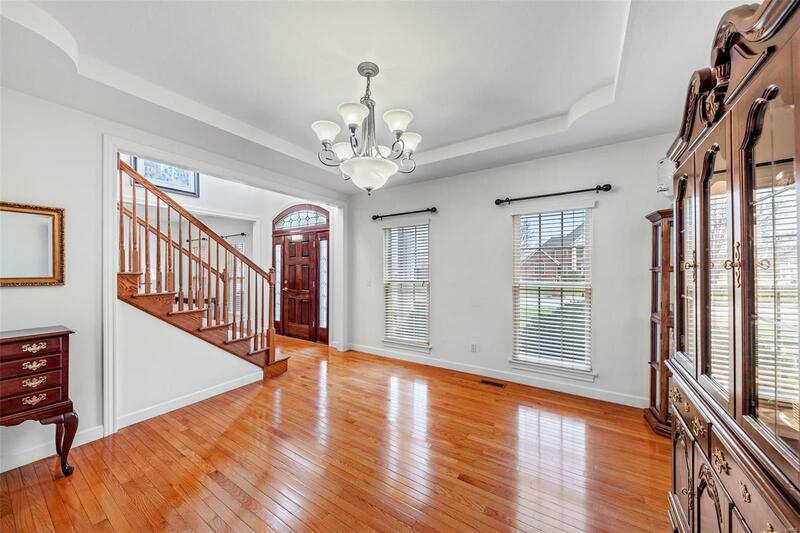 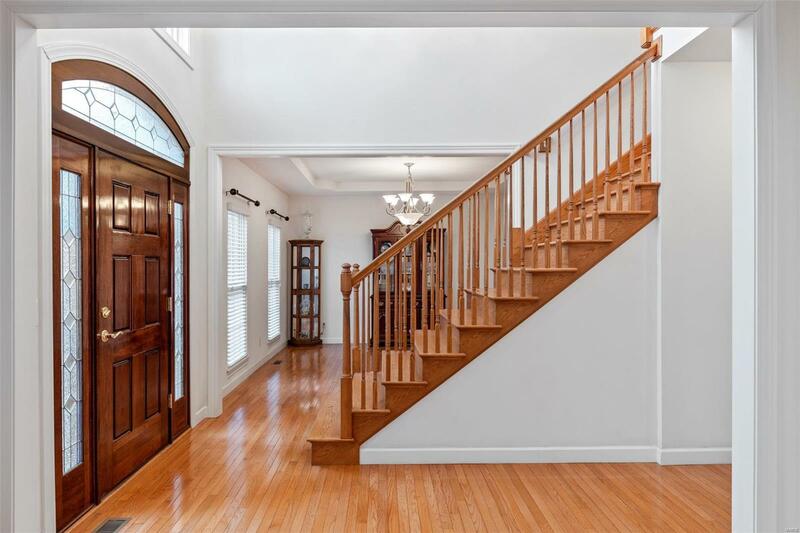 2-sty entry flanked by formal dining w/coffered ceiling & formal living room. 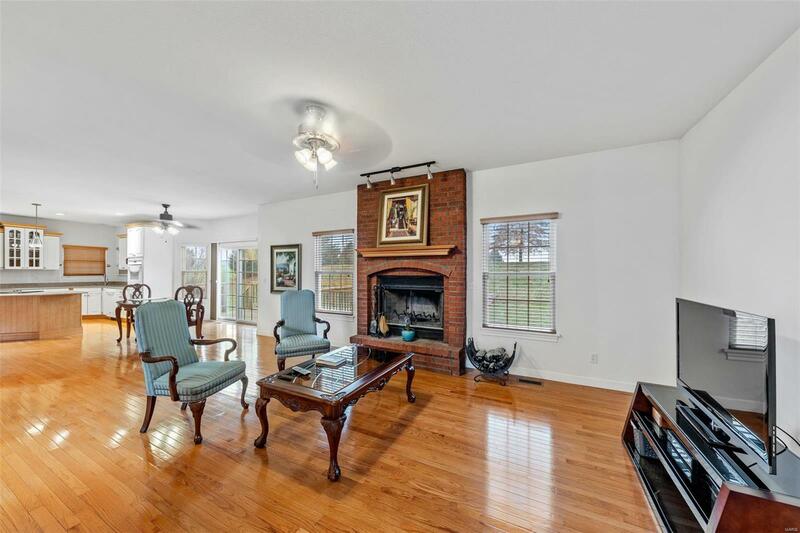 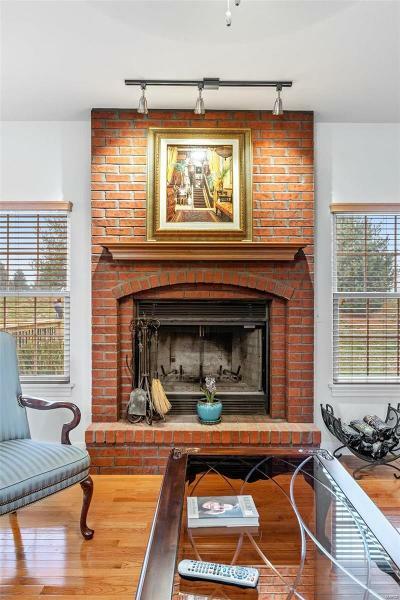 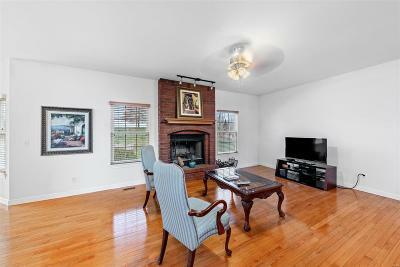 Wood burning fireplace w/flr to ceiling brick surround accentuates the large family rm & flows nicely into breakfast area/kitchen. 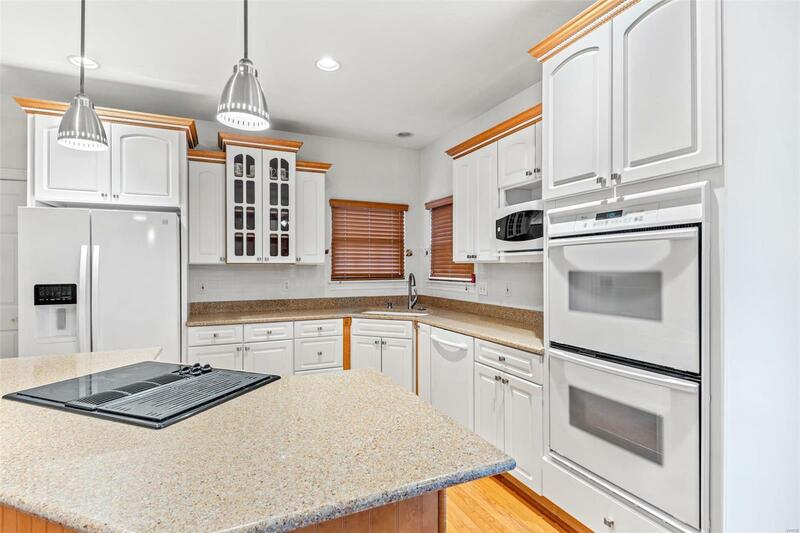 Crisp Kitchen boasts dbl ovens, butterfly island w/breakfast bar & custom cabinetry. 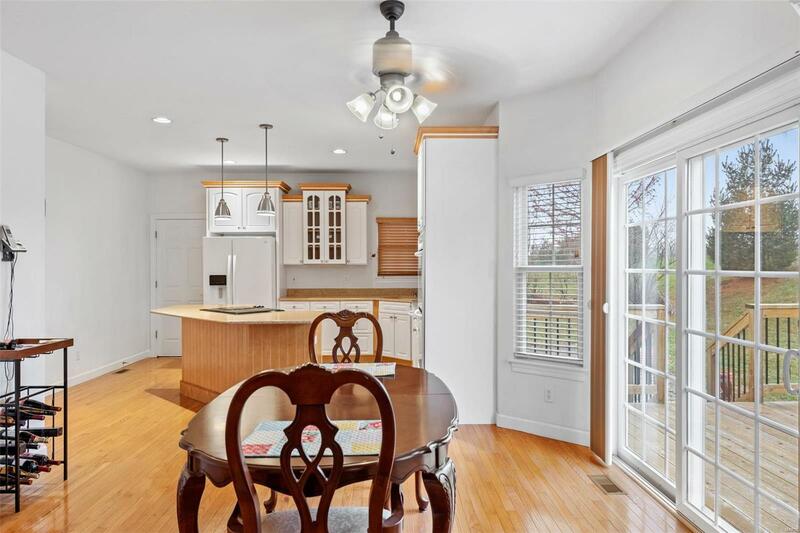 Breakfast area offers sliding door access to deck. 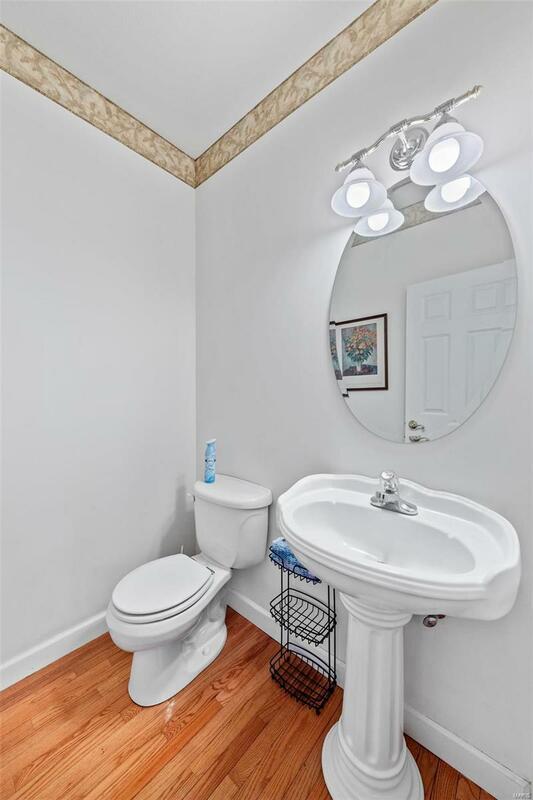 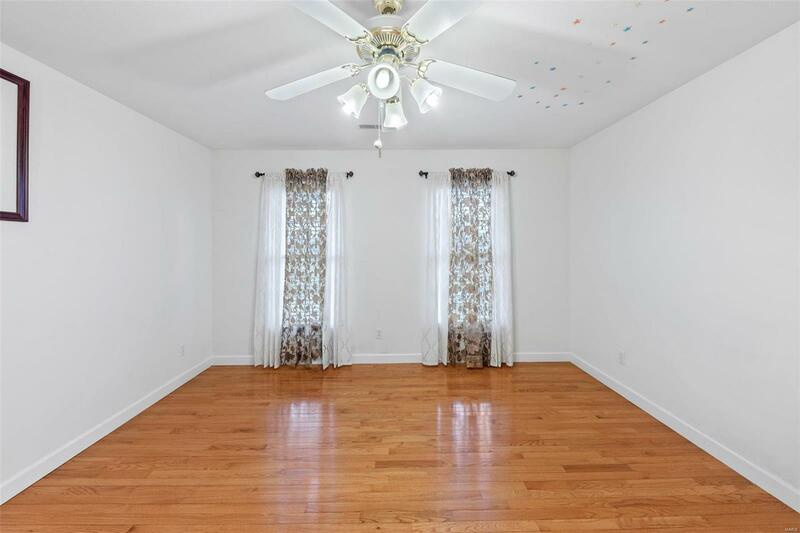 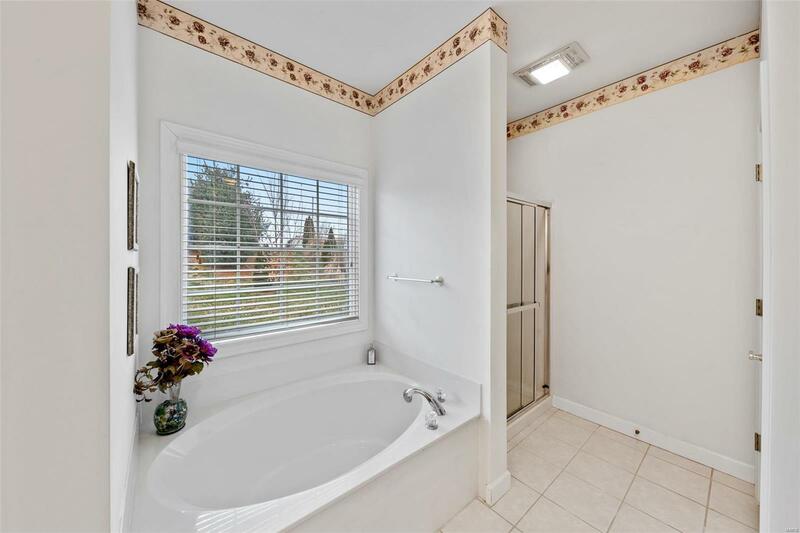 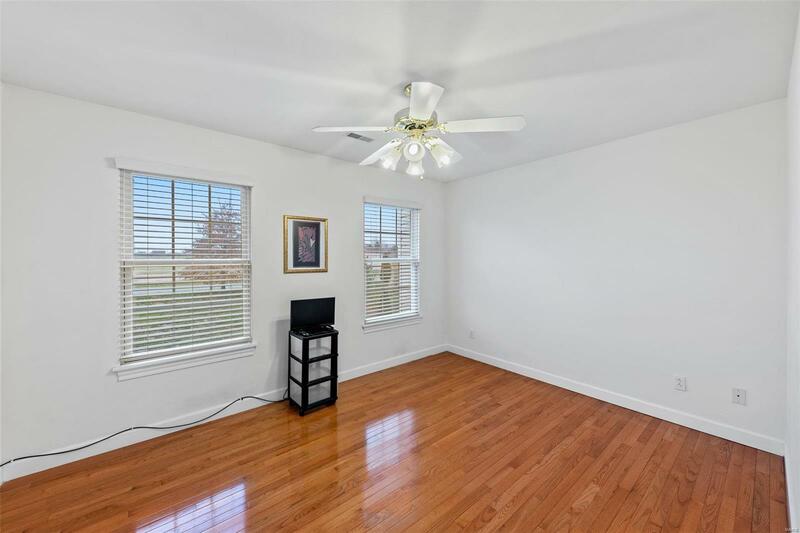 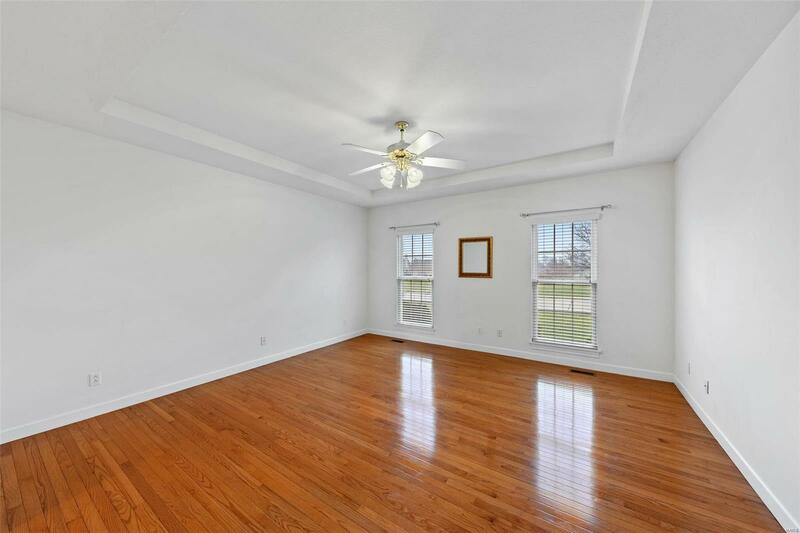 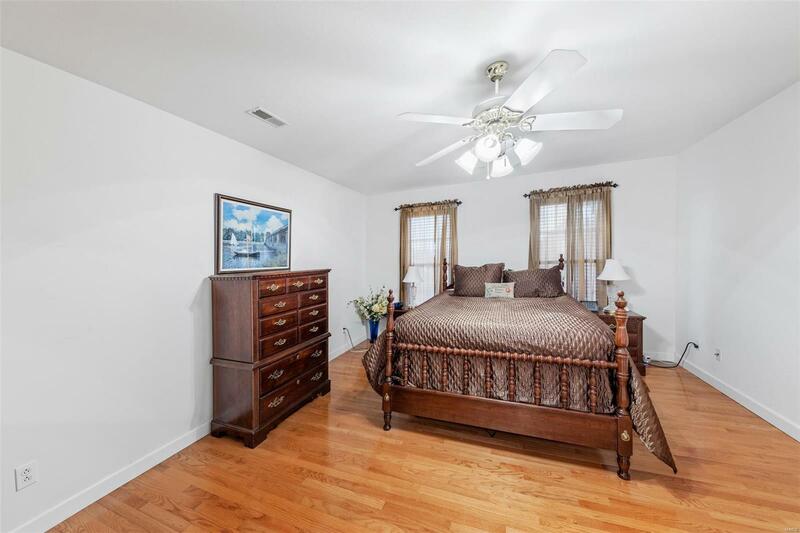 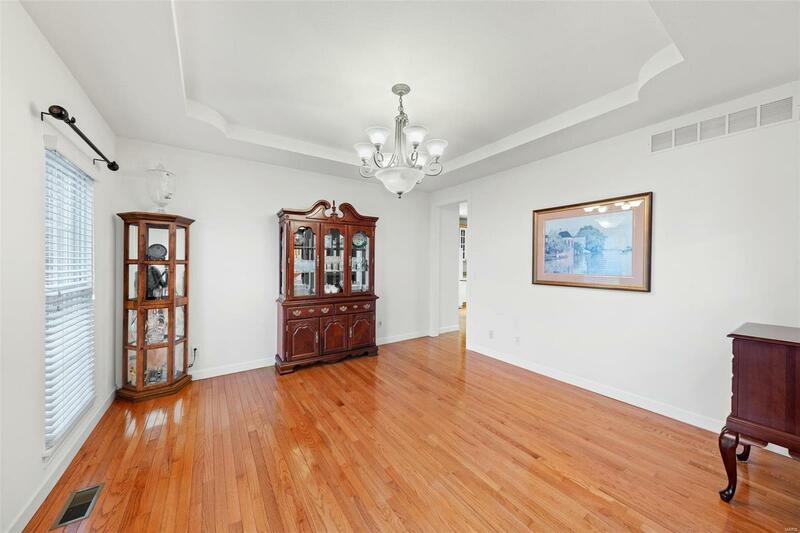 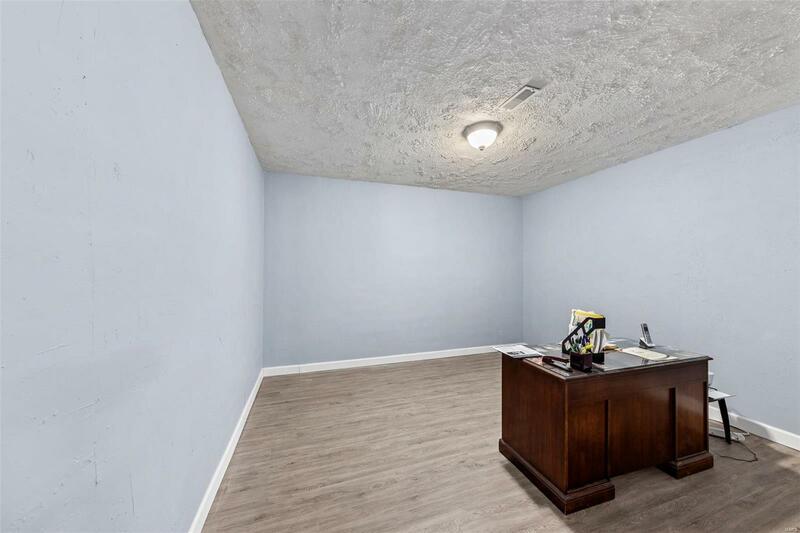 Main flr master bedroom w/coffered ceiling & luxury bath w/soaking tub & vanity area. 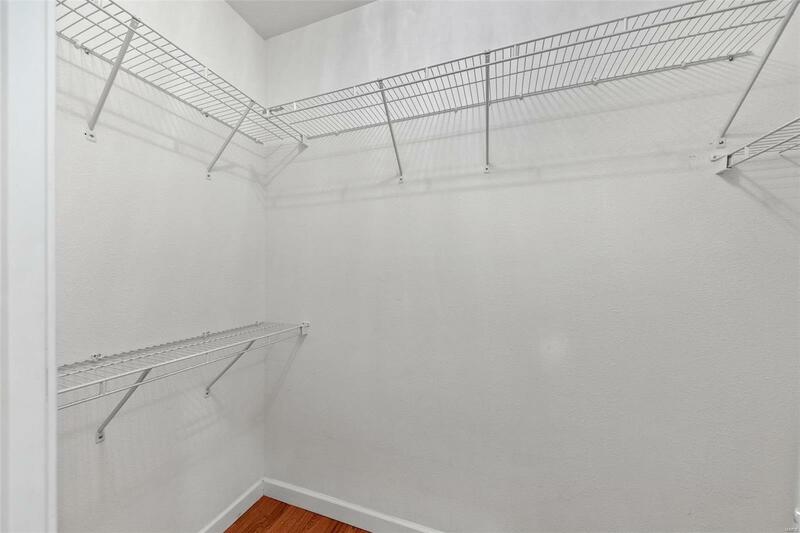 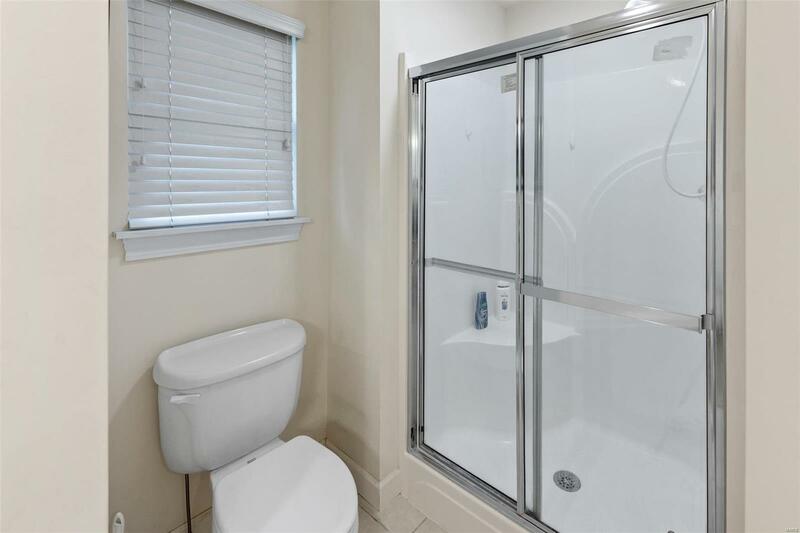 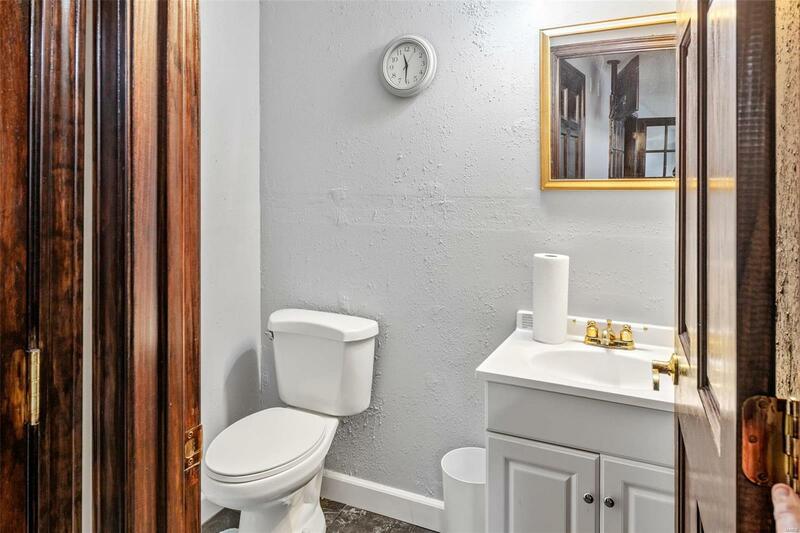 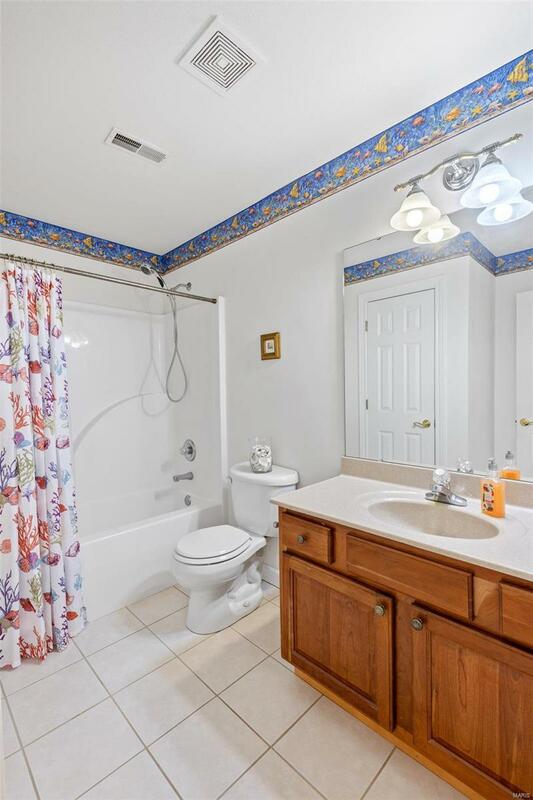 Main flr powder rm & laundry rm w/additional storage and utility sink. 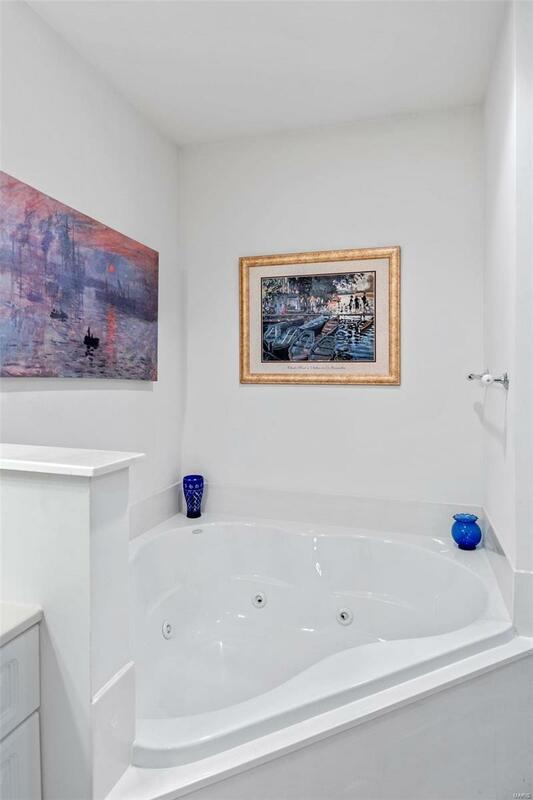 Additional master suite on the 2nd flr features Jacuzzi corner tub, sep. shower, & dbl vanities. 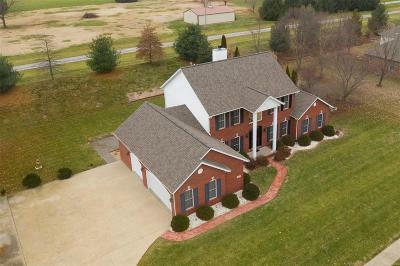 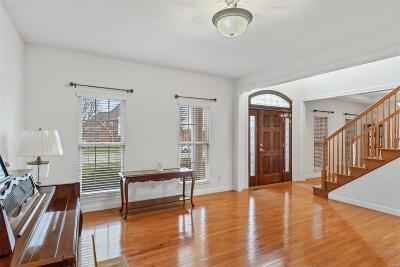 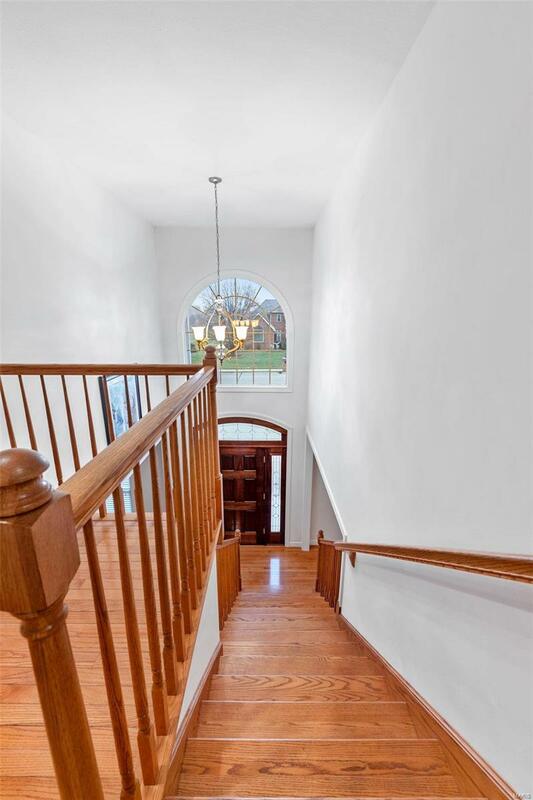 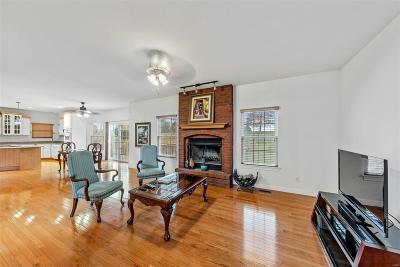 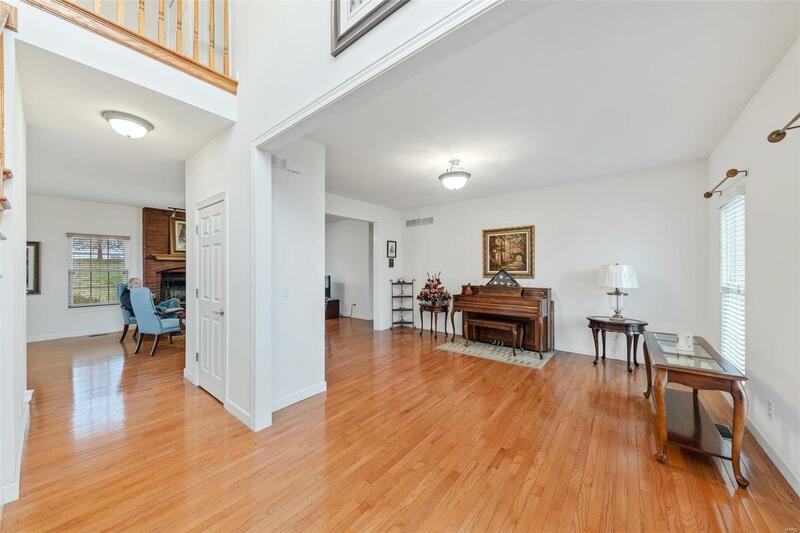 2 additional generously sized bedrooms upstairs w/walk-in closets & full hall bath upstairs. 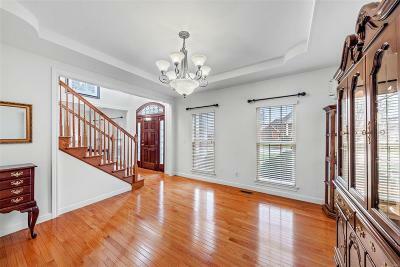 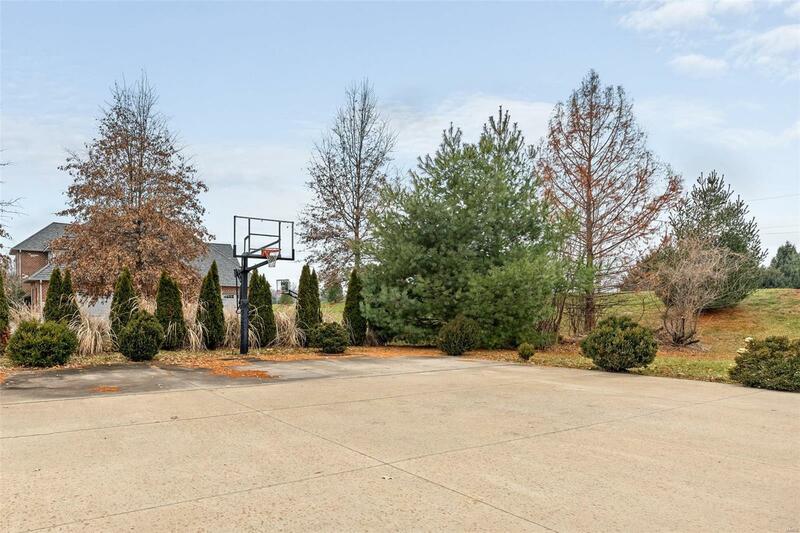 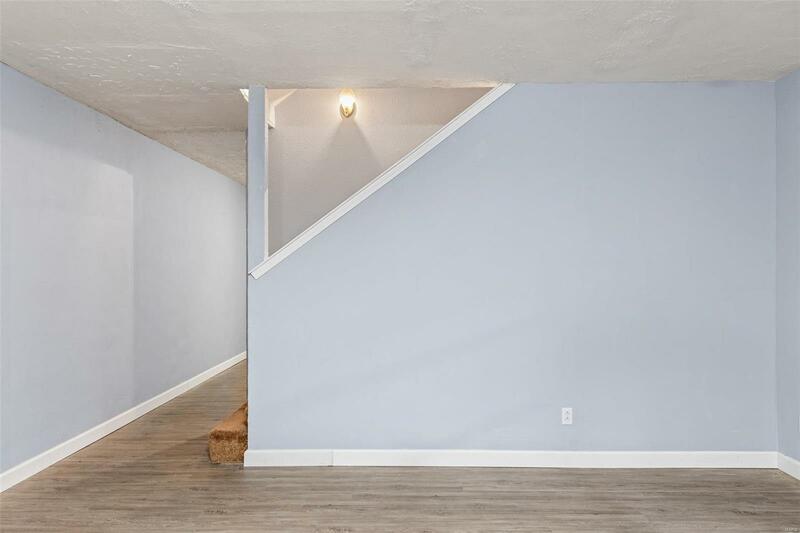 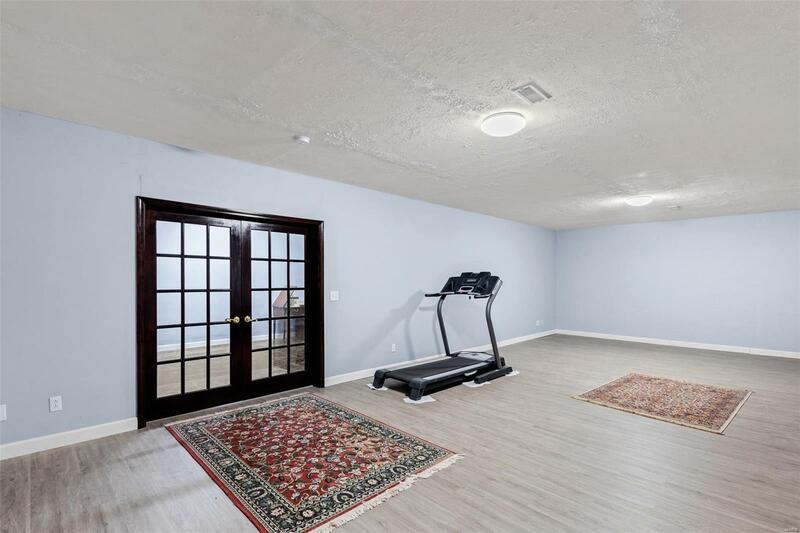 Partially finished lower level offers 2 large rec spaces w/sleek flooring & powder rm. 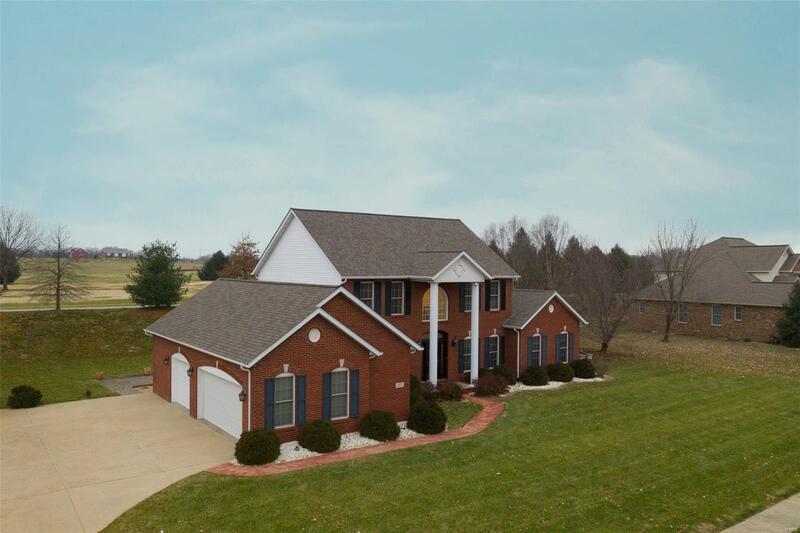 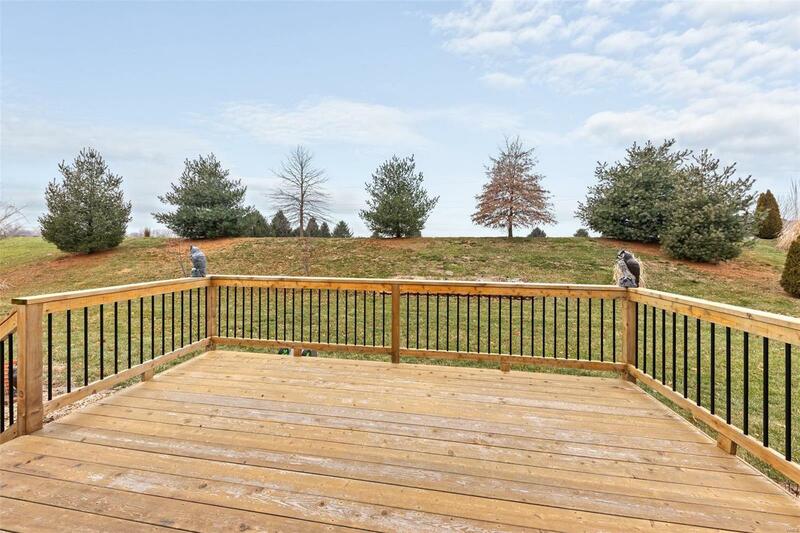 Exterior offers over-sized 3-Car garage, lush level landscaping, custom deck & stone patio- Great for entertaining!